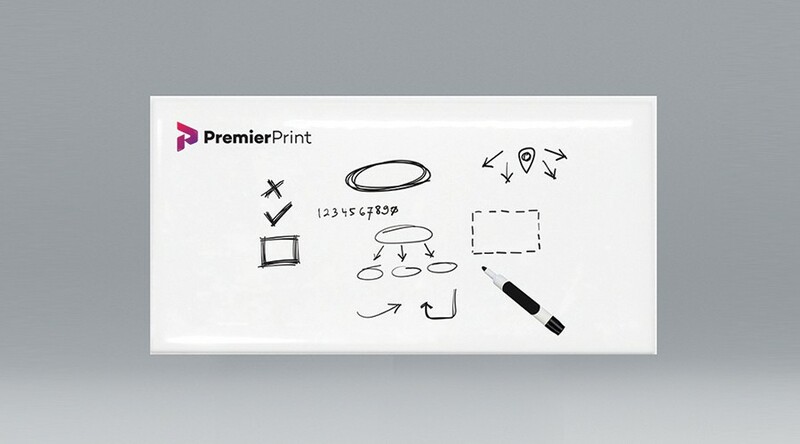 Printed Dry Wipe Whiteboard Vinyl is ideal for covering existing whiteboards with custom graphics. We Print at 1440dpi resolution in full colour, then laminate it specialist dry-wipe polypropylene. This creates dry wipe panels with permanent base graphics and is suitable for use with dry wipe markers. The clear coated film wipes clean with a dry cloth. Perfect for Planning Boards, Production Scheduling, Menus, Events Boards, Sales Performance Boards.